In buying a home, recent years have seen the positive evolution of the real estate industry to include buyer's agency. Simply put, this is a Realtor that works to promote the best interest of the buyer in a real estate transaction. The concept seems pretty basic, sort of like how attorneys represent the plaintiff and the defendant in a trial. While it seems simple, it has taken years for this concept to be employed. Historically, all agents represented the seller. The listing agent agreed to allow other agents in to show the property, but they were sub-agents of the seller. By law, they still were obligated to report back to the seller any information that might help the seller to get a better price and terms in the sale. Having an agent responsible to the buyer has only been in practice since the 1990's. Generally speaking, the buyer's agents are still paid by the sellers through a 'split' of the listing agents commission. Many home buyer's think that buyer's agency is all about opening doors and searching for homes. A good buyer's agent does have two things that the general public does not have, and can really make the buyer's life much easier. a. a more specific and dynamic searchable database of homes, and b. lots of experience in home searching for various buyers. In the home search, this experience and technical tools can make the process MUCH MORE SIMPLE & MUCH MORE EFFECTIVE! Buyer's often 'set the value' of homes based on their comparison to all the 'active' listings that they see when shopping for a home. This naturally occuring tendency shouldn't overshadow the fact that the more relevant comparison should be at what price area homes are actually SELLING for, not their listing price. 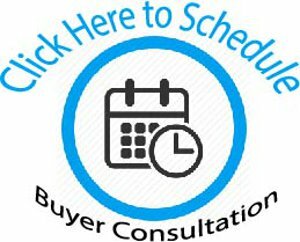 Probably the most useful thing a buyer's agent can do for the home buyer is provide an accurate market analysis for the subject property PRIOR TO MAKING AN OFFER. Q. What about an appraisal? The bank almost always hires an APPRAISER, but that part of the transaction usually isn't available until the loan is being underwritten after the contract is written. Q. I see what things sell for on tax records and Zillow. Isn't that the same? Information on tax records and other advertising websites can be helpful, but is never as complete and accurate. Once the buyer and buyer's agent have discussed pricing and have an idea of what they should pay, the offer is 'written'. The Sales Contracts that are used mostly in St Louis have a nice advantage. They are approved by the St Louis Association of Realtors and the Bar Association of Metropolitan St Louis; both Realtors and Lawyers use the same forms. The buyer's agent is allowed to complete the forms specifying the offering price, closing date and spelling out all the other terms such as Contingencies and other SPECIAL AGREEMENTS. A good buyer's agent is usually an experienced negotiator. This is helpful, particularly in helping set the buyer's expectations. Getting a great deal is important to everyone, but knowing what is common is useful so that buyer's don't expect more than can be delivered. In the current BUYER'S MARKET, sometimes buyer's expect 20-30% off the asking price. What they usually don't realize is that the asking prices are already 20-30% less than what prices were in 2007. Besides helping buyer's understand what is realistic, the buyer's agent works as hard as possible to negotiate as aggressively as the buyer wishes. A good buyer's agent realizes that regardless of their own opinions, they work at the direction of the buyer, as long as it is consitent with Missouri Law and the Realtor Code of Ethics. Once the offer has been negotiated and all sides come to an agreement, the property is said to be "UNDER CONTRACT". It is now the top priority of each side to "PERFORM" their obligations as agreed by the written contract. Often times, where the 'rubber meets the road' with a good buyer's agent is how well they work with the buyers through the execution phase of the accepted sales contract. Educating and assisting the buyer about the inpections available, how the lending process works, and how contingencies are resolved can make or break the deal. Some people think that negotiations are over as soon as the contract is accepted....THINK AGAIN.